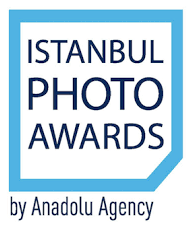 Istanbul Photo Awards is an international news photography contest organized by Anadolu Agency. The contest aims to contribute to the sphere of news photography and offers a perspective shaped by the region’s unique position at the center of diverse cultures. The awards reward endeavors of courageous and talented photojournalists from around the world on merit. Although it is only the fourth edition of the contest, Istanbul Photo Awards has become one of the most widely known news photography contests in the world. 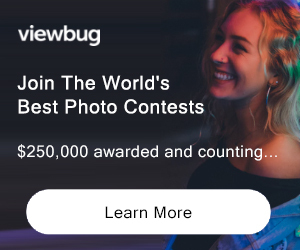 Along with the generous awards of the contest aiming to support the hard work and dedication of news photographers worldwide, the application is totally free. The results of the contest announced by the end of March each year. Award winning photographs will be published in Photobook which will be send almost everywhere all around the world to the photography professionals and displayed at significant galleries around the world such as Istanbul, Shanghai, New York, Vienna and Moscow. Istanbul Metropolitan Municipality, Turkish Airlines and Turkish Cooperation and Coordination Agency (TIKA) sponsor the contest. PRIZE DETAILS: Single News 1st prize winner will be nominated as “Photo of the Year”, the laureate receives $8,000 in total. STORY SPORTS: $5,000, $3,000, $1,500 Not eligible to enter? - Find contest where you are. COPYRIGHT: Photographer shall accept and declare to give the right of usage of the submitted photographs and it accept not to put in a claim for using of the photographs within the scope of promoting and advertising for Contest. USAGE RIGHTS: Anadolu Agency (hereinafter AA) shall have the right to use the submitted photographs of the winner photographers for promotional efforts on photobook, AA’s websites, Photo Awards’ website, magazines, newspapers, TV, exhibitions, mobile media and all relevant online & print PR campaigns worldwide. AA shall have the right to use the submitted photographs on AA’s workshops as training material and slideshows to communicate to the public.